SpiceJet announced new offers for the Early bookings. 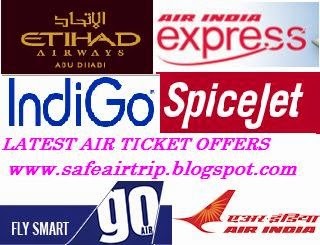 Using SpiceJet Early New Year sale , you can travel at fares starting Rs. 699. Book till 23:59 hrs, 01st October 2014 for travel between 16th January 2015 and 24th October 2015. So hurry, book before seats run out at these incredibly low fares!